The Ute Tribe F&WD holds membership in the non-profit organization, Inter Tribal Bison Cooperative (ITBC), a cooperative of 19 midwest and western tribes. 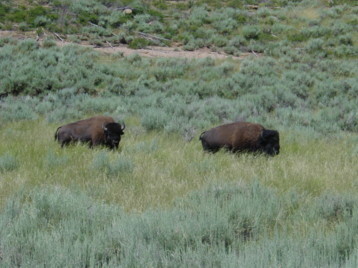 The ITBC was created to reestablish buffalo herds on Indian lands in a manner that promotes cultural enhancement, spiritual revitalization, ecological restoration, and economic development. ITBC is governed by a Board of Directors, which is comprised of one tribal representative from each member tribe. 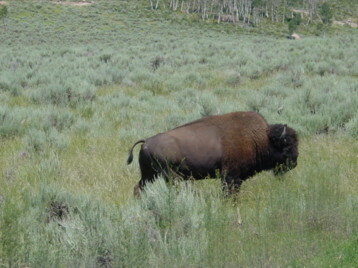 The role of the ITBC, as established by its membership, is to act as a facilitator in coordinating education and training programs, developing marketing strategies, coordinating the transfer of surplus buffalo from national parks to tribal lands, and providing technical assistance to its membership in developing sound management plans that will help each tribal herd become a successful and self-sufficient operation.